Those entries posted on a special Facebook page created for the 2011 National Catholic Youth Conference (NCYC) in Indianapolis may indeed sum up how thousands of teenagers feel about the Nov. 17-19 gathering at the Indiana Convention Center and Lucas Oil Stadium in Indianapolis. “Called to Glory” is the theme of this year’s NCYC event. An estimated 20,000 teenagers are expected to attend the biannual event, which attracts young people from throughout the U.S. and Canada. As this year’s host, the Archdiocese of Indianapolis is currently working on the conference’s schedule of events. For the first time, there will also be a separate track for college-age young adults who want to attend. 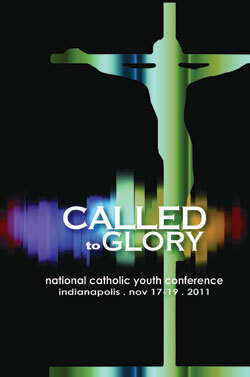 The specially created Facebook page can be found at www.facebook.com/GloryInIndy, and will feature music previews from artists performing at NCYC, interviews with teenagers from across Indiana and the U.S., conversations with Catholic youth leaders and guest presenters of the event, and video and audio messages from Indiana’s clergy. Young people and their parents are encouraged to follow the planning for NCYC and meet other youths attending by becoming “friends” and “fans” of the GloryInIndy Facebook page. The Facebook page is updated frequently and can serve as an excellent way for NCYC participants to stay connected with their peers and share their own spiritual journey on the road to Indianapolis in November, archdiocesan officials said.